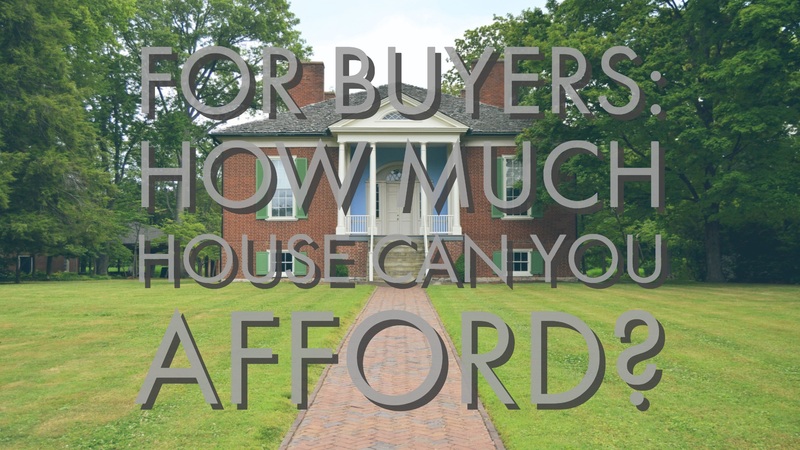 For Buyers: How Much House Can You Afford? While the quote is a little bit rough around the edges, it rings true for buying a house… sort of. A big misconception in home buying is that your lender decides what kind of house you can afford. The truth is: Your lender decides what you can borrow but YOU decide what you can afford. Since the last pop of the real estate bubble in the late 2010s, lenders are more careful. They make qualification decisions based on averages and formulas. They won’t understand your spending patterns and your standards of living. Should you borrow as much as you can? Maybe. Should you borrow enough for some typical expenses of home ownership? Definitely. How does a lender decide how much someone can borrow? Banks and lenders calculate the potential acceptable amount of a loan using the 28/36 Ratio. The 28/36 Ratio for lending works by figuring out an approved housing payment that will not be more than 28 percent of the buyer’s gross monthly income. A buyer’s total debt load, including car payments, student loans, and credit card payments, couldn’t be more than 36 percent. As home prices have gone up, some lenders have responded by stretching these ratios to as high as 50 percent. It is our responsibility, as an agent, to urge you to think carefully before stretching your budget so far. When deciding how much home you can afford, think through how your finances may change in the upcoming years. Retirement, college tuition, and vehicles can be factors for your long-term financial profile.